Skye Gravestones | Jonathan, Mary & Joan MacInnes. Jonathan, Mary & Joan MacInnes. 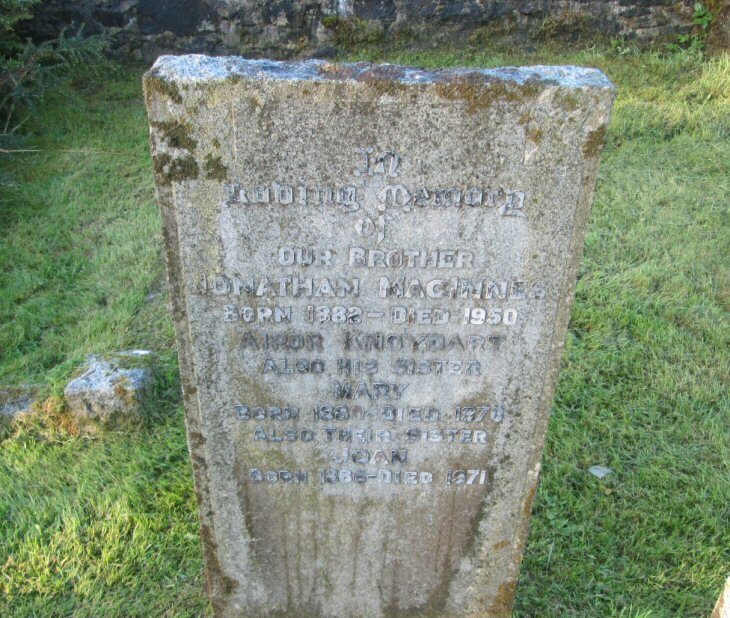 In/loving memory/of/our brother/JONATHAN MacINNES/born 1882 - died 1950/Airor Knoydart/also his sister/MARY/born 1880 - died 1970/lso their sister/JOAN/born 1886 - died 1971.